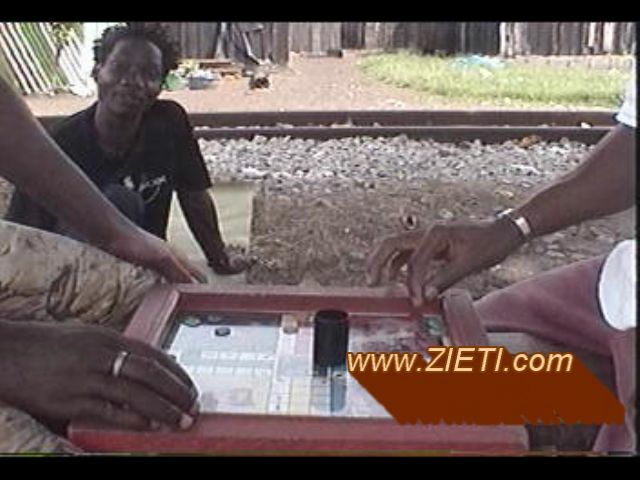 Zieti is a Guere term that describes something rooted, stable and long-lasting. 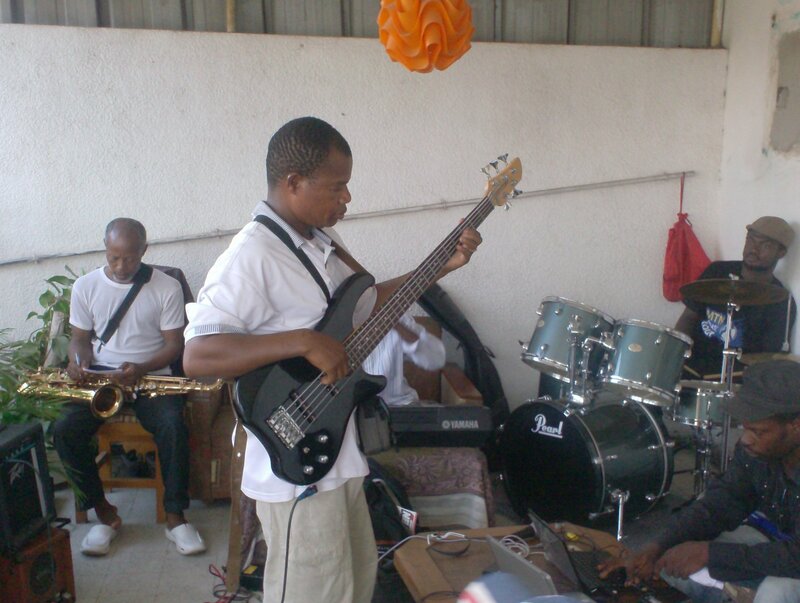 It is in this spirit that the band Zieti creates music like nothing else on the scene in Cote d’Ivoire. 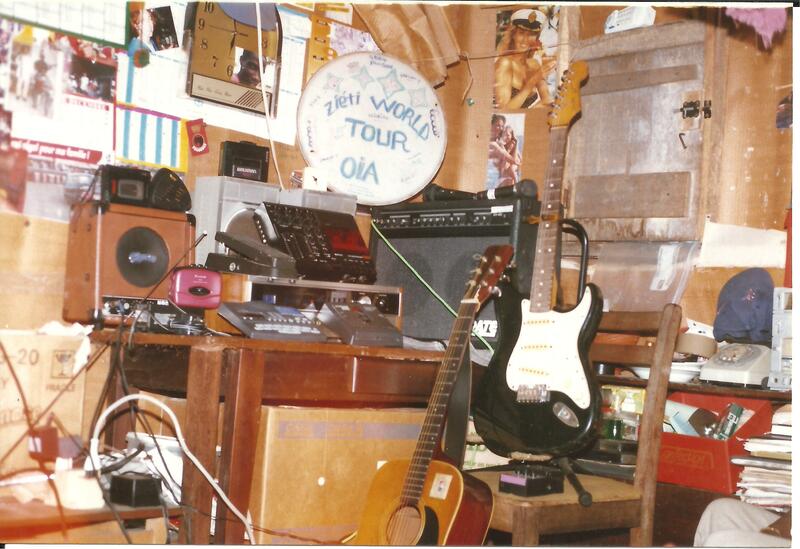 Not a single note on our debut album was generated via MIDI, the computer-based cheap and easy method behind so much of today’s pop music, and that fact alone sets this album apart from most of what’s popular in West Africa today. However, Zieti’s organic approach runs against the grain of how most music is currently made in Abidjan, where MIDI is king, profit governs and where live music is an endangered species. To be poor in Abidjan, with songs in your head, is to be at the mercy of sharks–producers, arrangers, pirates and media gate-keepers–with no way to go out and win your own audience. 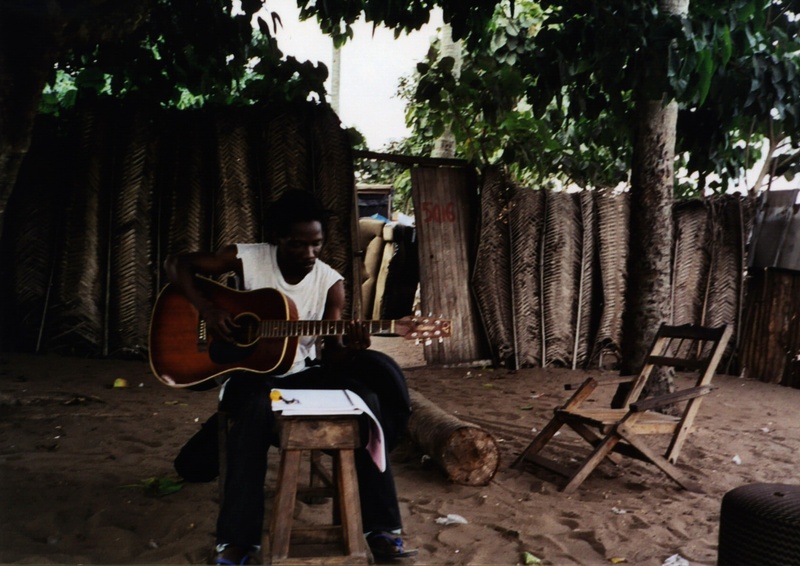 It is frustration upon heart-break for the vast majority of Ivorian songwriters and musicians. And there are indeed dozens of wildly talented songwriters and musicians in Abidjan, with songs and arrangements that can blow you away. It’s just that very few of them are making records that blow you away. In fact, most of them never record or perform in public at all. Instruments and live sound equipment are just too expensive and difficult to find for struggling artists to properly hone their craft. 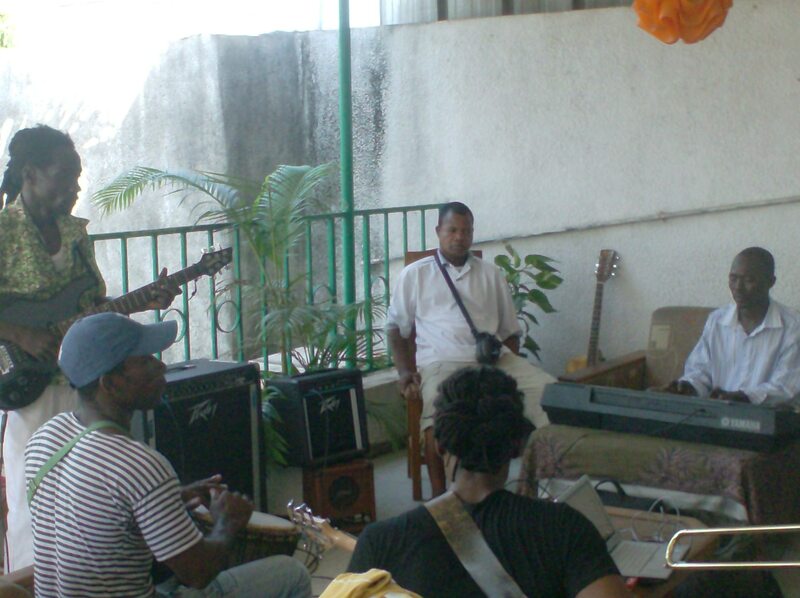 There is no question that if they had access to instruments and a place to rehearse and perform, these artistes en herbes (“artists in the tall grass,” or unknowns) would create amazing new genres of sound, and animate the public sphere in Abidjan as it hasn’t been animated for 30 years. 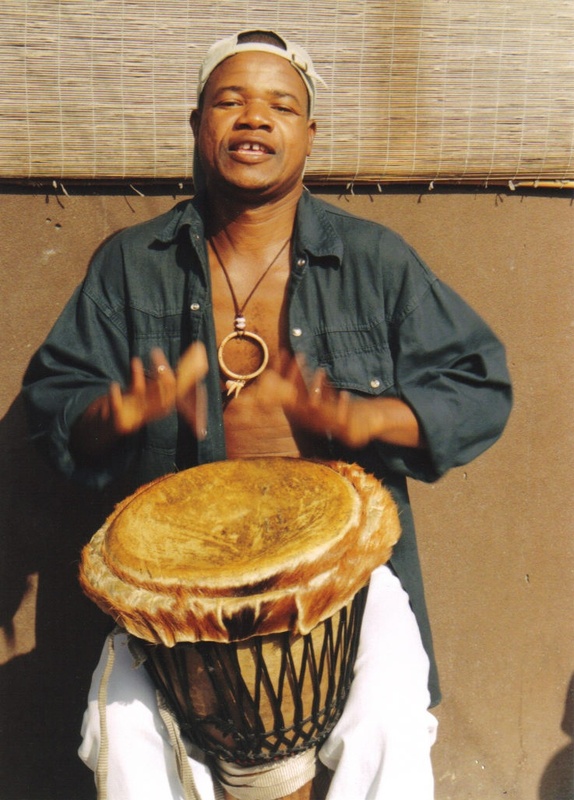 But sadly, poor musicians in Abidjan don’t have those things, so they make due playing beat-up acoustic guitars with missing strings, and drumming on plastic water jugs, with whisk brooms for a hi-hat. Horn lines are sung. Amplification, and with it bass, are a fantasy for all but the most well-heeled, etc. And still, poor musicians keep composing beautiful songs, with crazy fresh harmonies and rhythmic dynamism, drawing inspiration from, even as they modernize their cultural traditions. 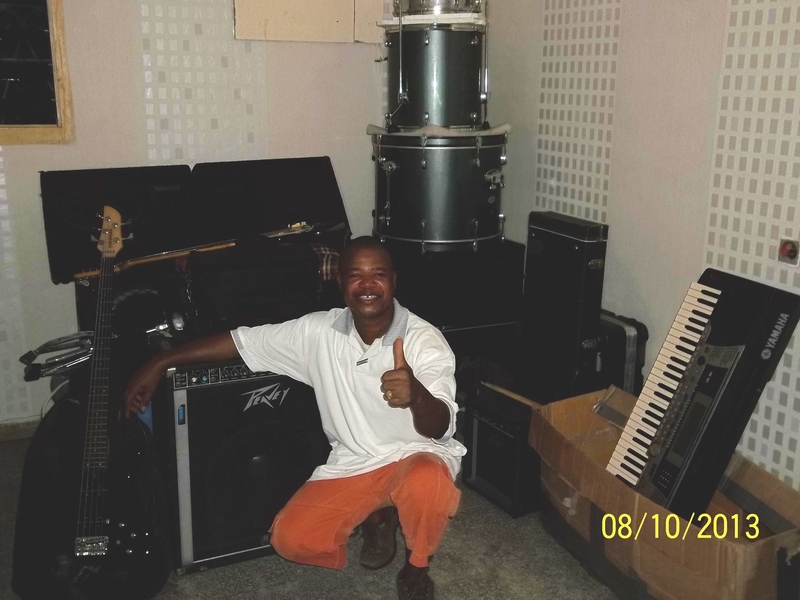 Meanwhile back in America, every punk kid with a few bucks and a garage has a more developed creative opportunity than your average poor musician in Abidjan. That just isn’t right (nothing against punks!). 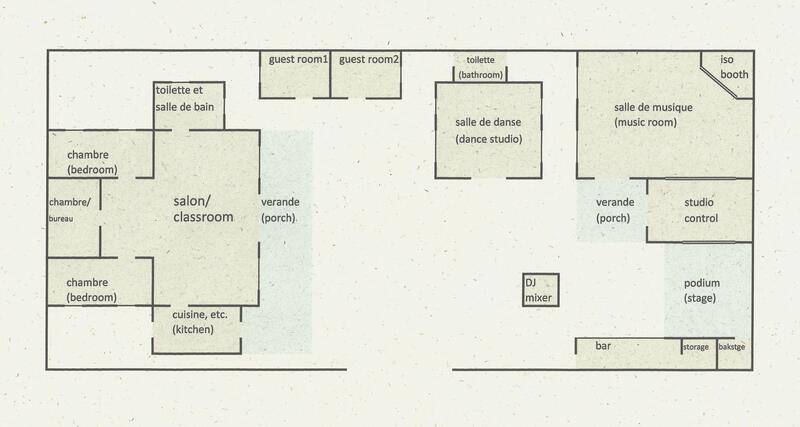 So Zieti is building a space in Abidjan where musicians can develop their sound and master their instruments, rehearse in groups, perform and record live music, all in one location. It’s a simple notion, but its potential impact is huge for the Ivorian scene. We’ve also acquired land in Cote d’Ivoire, 8,600 square feet (20 x 40 meters) near the beach just outside Abidjan, where we’re going to build a home and incubator for Ivorian roots music. All we need now are building materials and labor to literally set this vision in concrete. More info about our campaign will be coming soon. Meanwhile, we invite you to follow the band’s progress with this project by entering your email at right +/or like-ing Zeiti’s Facebook page. Drums & Accessories: Pearl 5-piece drumkit w/ Zildjan cymbals, Tama throne, 3 spare snare drums, Evans replacement heads, drumsticks & tall cajon. Instruments & Accessories: Fernandez 5-string bass, 2 electric guitars, 2 acoustic guitars, Yamaha PSR-550 keyboard, beaucoup spare strings & instrument cables, multi-effects pedal, guitar stand, trombone w/ case, 2 clarinets w/ case. Microphones & Accessories: Shure SM58 wireless mic/receiver, 3 Shure SM58 vocal mics, 3 Shure PG48 vocal mics, 2 Shure SM57 instrument mics, 1 CAD kick mic/mount, 11 mic stands, beaucoup XLR mic cables. Amplification: Peavey Combo300 bass amp, Peavey 50W bass practice amp, Roland JC-120 guitar amp, Peavey 100W guitar head w/Carvin 4×4 speaker cabinet. PA System: Mackie 1604 mixer w/ case, 16-channel snake, Peavey 1200W power amp, Peavey 1100W power amp, Peavey 450W power amp, Crate 6-channel 200W dual-amp powered mixer, Stereo splitter for power amps, 2 Peavey 600W PA speakers w/ stands, 2 Peavey 150W PA speakers, 3 wedge monitors, 1 spot monitor, beaucoup speaker cables. Power: 3000W step-down voltage transformer, 500W step-down voltage transformer, American-style extension cords & power strips, 9v batteries. Communications: Dell Inspiron 710M laptop w/ extra battery, Kodak Easyshare digital camera, Gigaware web cam w/ mic. Thank you so much for the very informative information about the Ivoirien music scene. 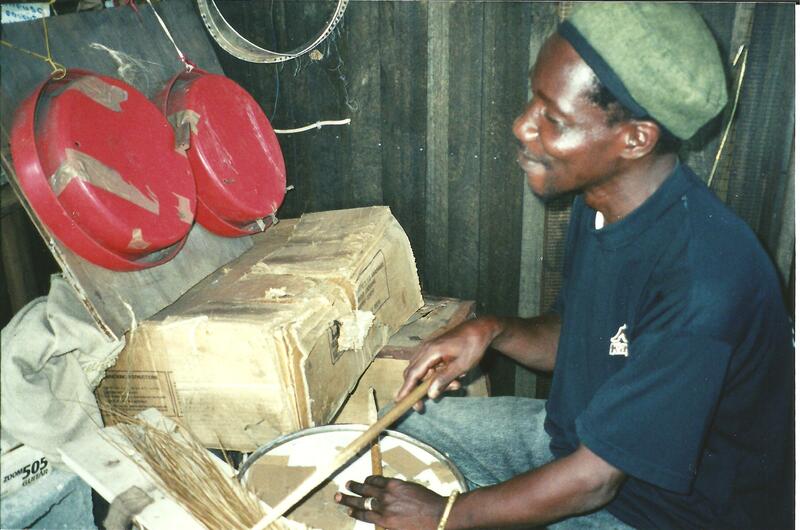 Although a white American (and also Alex Owre’s father) I have played with bands in Malawi and sat in with several bands in Nigeria. With obvious local variants, the story seems the same everywhere. Promoters who keep the money, promises not kept, club owners who don’t always exactly tell the truth, etc. More power to you guys but I know Zieti is going to do well because your music is very good!